Large Mudroom, Instant Hot Water Pump, Elect Car Charge Outlet, Bike Storage In Garage. MLS#6101324. Berkshire Hathaway Homeservices Georgia Properties. Vickery Falls - Truly A Unique Building, In A Unique Setting For A Unique Time Of Your Life. MLS#6095046. Atlanta Fine Homes Sothebys International. Vickery Falls - Truly A Unique Building, In A Unique Setting For A Unique Time Of Your Life. MLS#6095063. Atlanta Fine Homes Sothebys International. Vickery Falls - Truly A Unique Building, In A Unique Setting For A Unique Time Of Your Life. MLS#6095052. Atlanta Fine Homes Sothebys International. Third Level Walk-Up Features Bonus Room With Full Bedroom! Enjoy A Private Rear Patio. MLS#6093535. Ea Brokerage, Llc..
Over $21K In Transitional Upgrades!! Quick Move In Ready! ! MLS#6090377. The Providence Group Realty, Llc..
Over $18K In Transitional Designer Upgrades. Available For Quick Move In! MLS#6074980. The Providence Group Realty, Llc..
Owner’S Suite With An Elegant Owner’S Bath And Walk-In Closet Complete The Third Floor. Must See MLS#6069690. Custom Realty Group, Llc.. The Owner'S Bath Has A Large Frameless Shower. Private Rear Patio! MLS#6065599. Ea Brokerage, Llc..
Owner’S Suite With An Elegant Owner’S Bath And Walk-In Closet Complete The Third Floor. Must See MLS#6064677. Custom Realty Group, Llc..
Owner’S Suite With An Elegant Owner’S Bath And Walk-In Closet Complete The Third Floor. Must See MLS#6064674. Custom Realty Group, Llc.. The 3rd Level Has A Bedroom And Separate Studio Area, Great For A Teenager/ Bunk Room/ Media Room Or Visiting Guests. Must See!! ! MLS#6064243. Custom Realty Group, Llc.. The Third Floor Offers An Owners Suite With A Finely Appointed Owners Bath W/ Large Walk-In Closet And Two Other Bedrooms With A Full Bathroom And Large Laundry Room. Must See! MLS#6064289. Custom Realty Group, Llc..
Great Roswell Location But The Feel Of Being In The Country! MLS#8434526. 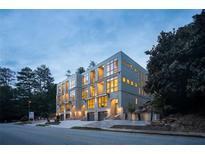 Atl.Fine Homes Sotheby'S Int..
Main Floor Has Hardwoods And Tons Of Space! Enjoy A Private Rear Patio. MLS#6035014. Eah Brokerage, Lp. 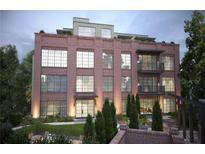 This Upscale Condo Features An Over-Sized 2+ Car Garage With Ample Storage! Only 2 Left! MLS#6025212. Jw Collection Brokers, Llc..
Windflower - This Home Is Located Nearby Shopping, Dining Spots, And Ga-120.Home Comes With A 30-Day Satisfaction Guarantee. Terms And Conditions Apply. MLS#8391833. Opendoor Brokerage Llc. Vickery Falls - Truly A Unique Building, In A Unique Setting For A Unique Time Of Your Life. MLS#5953778. Atlanta Fine Homes Sothebys International. Vickery Falls - Truly A Unique Building, In A Unique Setting For A Unique Time Of Your Life. MLS#5952978. Atlanta Fine Homes Sothebys International. Vickery Falls - Truly A Unique Building, In A Unique Setting For A Unique Time Of Your Life. MLS#5953330. Atlanta Fine Homes Sothebys International. A Finished Basement With A Bonus Room And Full Bath Makes For A Great Media Room Or Home Office. 2Car Garage. MLS#5816622. Mark Spain Real Estate.